In these five entries, I’m highlighting the likelihood that you, pastor, are “squared off to bunt” in your ministry and life. This is not to suggest that you aren’t busy. No, ministers are among those who can be overwhelmingly active and profoundly unproductive at the same time. Postured to bunt, you desperately drive from hospital room to committee meeting, from one religious function to the next. Are lives changing? Can’t tell. Are those outside the Church coming toward Jesus via the loving example of your members? No way to know. Your week is jammed with your best attempts to anticipate or respond to the complaints and requests of church members who mistakenly believe that you exist to serve them. Let’s be clear: Minister, your central role is not to care for your people. It is to grow them to maturity in Christ. Most of what you do to soothe, comfort, and appease them does just the opposite. It keeps them infantilized. Study the way Jesus interacted with His followers. You’ll see that he constantly challenged them to trust God on their own. To experience God’s faithfulness for themselves. Unlike you, Jesus kept putting his disciples into harm’s way! The way your local police and fire academies put perfectly good people in peril for the sake of those they will rescue one day. See, you and they have forgotten that God has given ministers to equip the people to do the work of Christ’s ministry [Ephesians 4:11] …so that they actually mature. I don’t see a lot of either happening in the lives of most church-goers these days. To what degree do you challenge your people? Do you press them to examine and repent of their immaturity, entitlement, and commitments to comfort? Does your preaching regularly unsettle them? Do you raise many more questions than you answer? I don’t see how Christianity can be a part-time pursuit. Can you? How is it that couples can live together, unmarried, and worship as if the were? How can we cheat on our taxes and pray as if God doesn’t know? How can we hold unforgiveness toward others and not think it undermines our prayers? When you live “squared off to bunt”, pastor, your parishioners will follow suit. Could society’s sudden pursuit of much that’s contrary to God’s Word be the result of a Church that’s “squared off to bunt” so much of the time? I was in Memphis one snowy morning recently. A CRM teammate we affectionately call “Hound Doggie” and I were designing curriculum for the upcoming reFOCUS:Atlanta conference when his cell phone rang. “Hi Honey… OK… Are you OK? Are the kids OK? Don’t worry about a thing. Stay put and I’ll be there in ten minutes.” His voice was smooth, calm, steady. I tried to decipher what had happened. “Hey Kirkie, I’m gonna have to run home for a little bit. 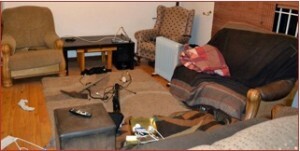 Our house was broken into; a lot of stuff is missing. Be back soon as I can.” Matt was as calm with me as he was with Jen. In a few hours he’d filed a police report, met his insurance guy, arranged for his family to spend a few nights at the in-laws. And he was back—fully back—writing content for the Leading Change track, where we support pastors to be leaders of change by being leaders in change. Matt is no ‘armchair theologian’. Like the rest of my CRM team, he’s not ‘squared off to bunt’. This recession has been tough on churches. Giving is down—way down. Many have reduced staff. Attendance has declined and so has vitality and optimism. While there are many exceptions, this is a decades-long trend across the Church in America. Congregations often blame to pastor. Yet, rarely is any pastor good enough to grow a church where there’s an embittered, conflicted congregation. And, few pastors are bad enough to run people off when a congregation is vibrant and loving, passionately pursuing Christ. Still, many pastors live discouraged as if they are responsible for their churches’ decline. Questioning herself, she pulls back from leading boldly. Fearing the firestorm of criticism, he “softens” his sermons, muting his own voice—and the Word of God through him. Rather than take on that manipulative, gossiping leader she placates, hoping something will change. 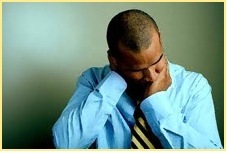 A Barna survey found the #1 concern among Christians is a “lack of leadership”. And the #1 need of leaders is courage. Courage comes from the French word “kor” which means “heart”. I suggest that to live courageously is to live with your whole heart. Your heart engaged, invested, vulnerable, at risk. 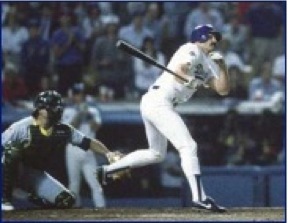 Can you imagine Jesus, in his passion week, squared off to bunt? Defending himself weakly before the Sanhedrin. Negotiating with Pilate. A few rote prayers in Gethsemane. I love the movie Taken in the way Bryan Mills (Liam Neeson’s character) keeps giving himself to recover his daughter, who’s been kidnapped. When Kim’s parents learn of her abduction, their responses illustrate, the distinction: Who you are—especially in the midst of crisis and difficulty—is a product of the way you’ve trained yourself all your life long. One parent’s preparation was such that, in the midst of the crisis, she is frozen in fear, awash in overwhelming emotion, and unable to function on an adult level. Neeson’s Mills is clear-headed, studying his daughter’s room for clues to her disappearance. He is determined and he is in motion … the product of his extensive training as a CIA operative. Both of Kim’s parents had been in training—all their lives—for a crisis such as this. It was Father’s Day 2001. Driving from church to lunch, traffic was snarled. Creeping along we eventually came upon the source: multiple police cars, an ambulance, and a fire truck situated diagonally to keep the public from being able to view a particularly grizzly scene. It was my daughter’s car!! Reality is, I had been preparing myself all my life for that morning. We were privileged to see God’s merciful intervention in what should have been a double decapitation. 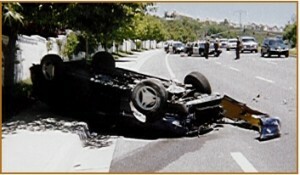 Both kids walked away shaken, but unhurt. 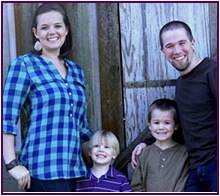 Not every family crisis has resolved as swiftly and miraculously as that one. Each catastrophe—and the many mundane opportunities to trust God in between—has been preparation. Every relationship breakdown has provided opportunities to examine my reactivity and vulnerabilities, to pursue repentance, and grow in Christ-likeness. 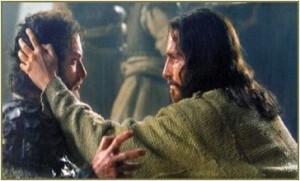 Ever wonder how Jesus carried on—through Judas’ betrayal, the isolation and agony in Gethsemane, the beatings and the travesty that was his trial? After all that, with spikes through hands and feet, his own weight suffocating him, he forgave those who crucified him, made provision for his mother’s care, and ministered to the believing thief on the cross next to him. “Even though Jesus was God’s Son, he learned obedience from the things he suffered.” [Hebrews 5:8 NLT] Like Jesus, you and I can learn how to live great, God-honoring lives by the ways we train ourselves while in the midst of suffering. It is possible, even for a “career bunter” to learn to crush the baseball. Go hire a coach and reacquaint yourself with the batting cage. How does a minister develop tenacity … particularly when the surrounding culture is increasingly committed to relieving tension—in the short run—without regard to the long term consequences? Tenacity is defined as the capacity to stick—like super glue—to one’s commitments. The word comes from the Latin tenere which means “to hold”. In a culture that, over the last fifty years has elevated feelings to the top of the decision-making hierarchy, Americans seem to hold to whatever might satiate their momentary emotional anxieties. The collapse of just about every great empire has been presaged by a similar shift. These once-great societies collapsed from within. 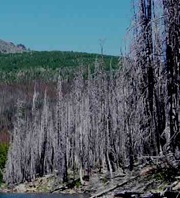 Like tall trees hollowed by pine beetles, when opposing winds came, they lacked the fiber to stand. I’m reminded of a moment early in the “Battle of Carthage” scene in Gladiator when Maximus draws his fellow gladiators into a tight circle, shields surrounding them. As well-armed chariots approach—and their every impulse is to run—he urges them to “Hold!…Hold!…Hold!” ‘till the charioteers are almost upon them. As a result, they overthrow their attackers and win a most improbable victory. It is this act of holding that is essential to pastoral leadership in our day. With my CRM teammates, I facilitate a leadership development and change process with Senior Pastors and their churches. Our goal is to strengthen the leadership character of pastors so they can lead their congregations through a massive cultural change: from consuming religious education and entertainment to ministering influentially to the un-churched in their communities. It’s been my privilege to work with dozens of churches all across the denominational spectrum. Initially, almost everyone agrees to become a missionally-effective church. Like the pine beetle, their largely covert opposition eats away at the church’s commitment to what it knows it must become. Quick-fix fantasies emerge and gain a ready following. People take sides. The lead pastor’s tenacity is essential. So, from the outset, we work to strengthen the pastors’ capacity to hold. By creating scenarios that invite opposition on a small level while monitoring, via coaching, the pastor’s responses to it. Over many months of facing gradually-increasing resistance, reFocusing pastors increase their capacity to tolerate anxiety—first in themselves; then in their congregations. Walking with a coach and several other senior pastors who are encountering the same challenges in their congregations, the pastor develops the fiber to Hold!…Hold!…Hold! to what God has called them. We’re considering the importance of sustained commitment; commitment to vision borne of God though impossible to be actualized in the here and now. 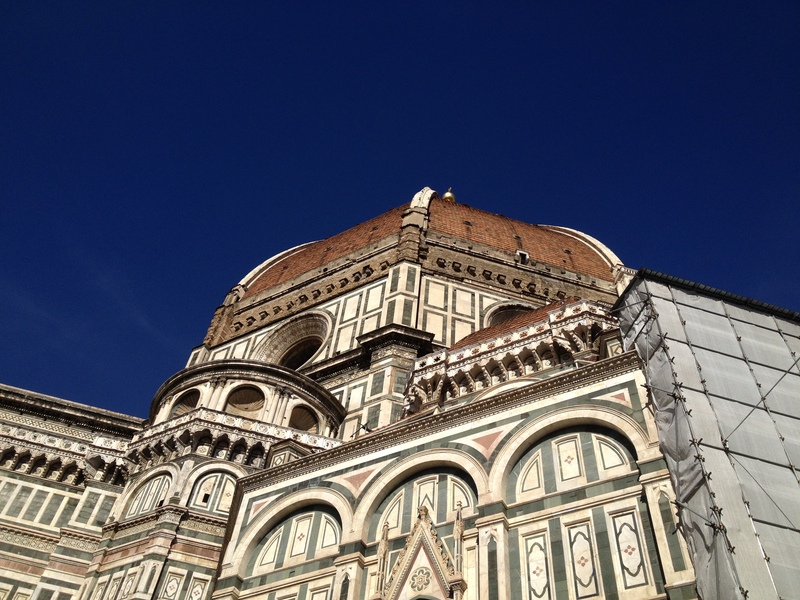 Our example is the Duomo di Firenze: an architect’s vision of a majestic cathedral with a dome so immense that it could not have been built when he conceived it. At 142 feet it would be larger than the domes of the U.S. Capitol, St. Paul’s in London, the Pantheon in Rome, and St. Peters in Vatican City. When it was finally constructed, it remained the largest dome in the world for almost five hundred years! More than eighty years after construction commenced, a goldsmith named Filippo Brunelleschi was born. In his 20’s he moved to Rome. For three years he studied architecture with a buddy named Donatello. If you watch the History Channel (I don’t) you’ll know that name. 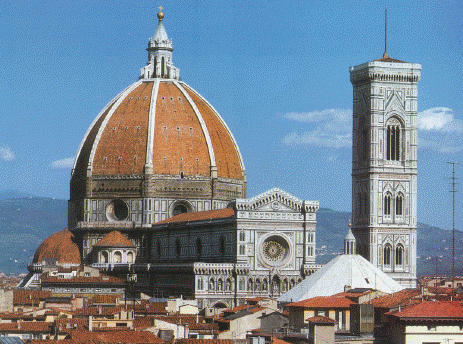 Brunelleschi studied the Pantheon, the largest dome then in existence. How it’d been built was an architectural and engineering conundrum. Brunelleschi made several significant discoveries. 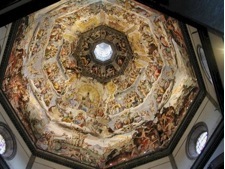 Returning to Florence, he convinced the builders that he had a method to put di Cambio’s dome on the cathedral. This solution was ground-breaking on several fronts. The innovations Brunelleschi employed, however, are not our focus today. What is, is the commitment to the completion of this cathedral by generations of people who’d never see it with their own eyes. Leaders are not those with the best ideas or superior methods. Leaders have developed the strengths of character and the capacity to self-management so that they sustain movement in pursuit of what God’s called them to without giving up. And, they do it in a way that motivates and mobilizes others in the pursuit of that great vision. More than 2,000 years ago Jesus did this too. He laid out a vision of the Kingdom of God in ways that people could grasp. In scores of demonstrations of God’s mercy, supernatural power, the stories he told and word pictures he used, and an occasional sermon. Most often, Jesus proclaimed the coming Kingdom by the way he lived and moved among the people. This is our great and noble task today. To live in such a way that the Kingdom of God is demonstrated over and over in ways that people get. And to pull it off, you’ll have to take many, many approaches and stay at it far longer than you dreamed you’d have to. My invitation is to join with those who’ll do this to their last breath and will have prepared a couple generations who’ll follow just as passionately and powerfully for as long as they have breath. Think of it as a cathedral of great, influential human lives. As a coach to pastors and Christian influencers, I’m sometimes surprised at the vacillating commitment of we who claim to be Christ’s. I completely understand that life gets tough … so much so that, at times, I want to tear the hair from my head. What I struggle to appreciate is the apparent over-arching power of the option to collapse on one’s vision and thereby escape the tension of living between what is and what God’s called us to. 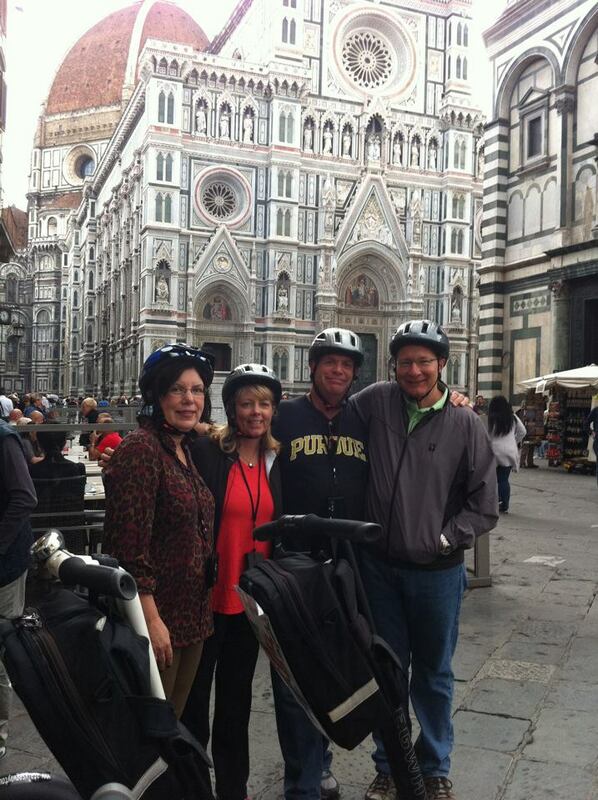 Last week, Annie and I were with friends on a Segway Tour in Florence, Italy. I’m a curmudgeon when it comes to museums, tours, and lectures about things that occurred centuries ago. I’m much like Charlie Brown: “Bla, bla, bla… gelato! !… bla, bla, bla”. But, as our guide was describing “the Duomo”, an incredible domed cathedral, the Basilica di Santa Maria del Fiore, I lit up. An architect named di Cambio, designed it in the 1200’s with a massive eight-sided dome, and convinced the city council to build it. Trouble is, nowhere on earth did the technology exist to build that dome! So, construction began on the immense cathedral in 1296… and when they got to the dome … they could not go forward. For the next 120 years, eight architects worked the problem without success. Six generations coming and going without a dome atop the greatest cathedral in Tuscany. How many of us sustain our commitment for 120 months, 120 weeks, 120 days? Your relationship with an angry, distant teen? An initiative to reach your neighborhood for Christ? Turning your congregation from entitled religious consumers to maturing ministers of the goodness of God? Standing shoulder-to-shoulder with an embattled pastor whose desire is to bring the congregation into Christ-likeness? I’ve watched many Christian pastors begin well, then collapse when confronted by opposition. Usually their undoing is the resistance of church members activated by elevated anxiety. Anxiety because they’re so unaccustomed to trusting Christ in the midst of difficulty. Or, because when given the opportunity to live distinctly Christian lives they’re so out of practice they’d rather do anything else. Watching these leaders succumb could break my heart, if I let it. But then, I would’ve collapsed on the vision God’s given me. That vision is to strengthen the character of Christian leaders so that the churches they influence live courageously for the Kingdom of God. Next time, we’ll return to the story of the Duomo and the commitment to a vision that took more than a century to apprehend.